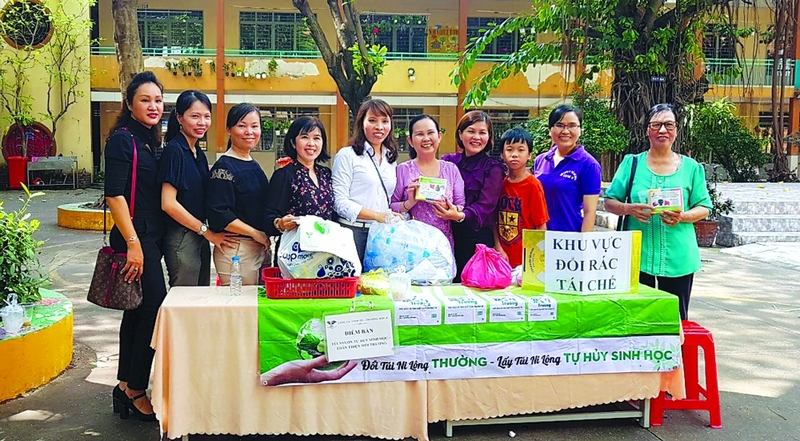 (VEN) - Phan Thi Thuy Phuong has devoted her life to pursuing and turning the dream of a cleaner and green life into reality by introducing environmentally friendly, biodegradable plastic bags to Vietnam. Phuong’s startup story was no miracle. With passion and extraordinary strength, she has struggled to produce and popularize environmentally friendly, biodegradable plastic bags for use in supermarkets and traditional markets. 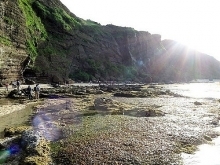 Phuong was trained as a mining executive (by the Southern Sub-Institute of Geosciences and Mineral Resources). She also worked for the first Vietnamese company specializing in producing degradable packaging. Phuong understands the dangers of normal plastic bags dumped into the environment that can take hundreds of years to decompose. Determined and energetic, Phuong established the GENERAL II Trading and Manufacturing Co., Ltd. to manufacture environmentally friendly, biodegradable plastic bags certified by the Ministry of Natural Resources and Environment. At present, the company supplies about 50 tonnes of biodegradable plastic bags per month for the domestic market, and exports about 100 tonnes of all kinds of plastic bags per month to foreign markets such as Australia, Germany, France, Italy, the UK and Singapore. To raise community awareness of biodegradable plastic bags, Phuong has personally brought products to each small market to persuade traders to use them. She has also visited social organizations, trade centers, supermarkets and shops to talk about the benefits of biodegradable plastic bags and the dangers of normal ones. Her intensive efforts have borne results. The GENERAL II Trading and Manufacturing Co., Ltd. is a partner of the Ho Chi Minh City Department of Natural Resources and Environment, the Ho Chi Minh City Women’s Union, and other unions and associations in green environment projects. 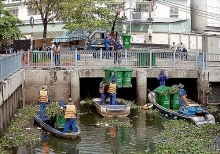 Recently, Da Nang City’s Lien Chieu District coordinated with the company to provide biodegradable plastic bags for traders and consumers, with a subsidy of VND20,000 per kg, to make the city cleaner and greener. Most developed countries in Europe, the US and Canada have used biodegradable plastic bags for a long time. In Vietnam, however, the use of these environmentally friendly products is in its infancy. Currently, the country has only 20 biodegradable plastic bag manufacturers, who are having a hard time developing their product. According to Phuong, biodegradable plastic bags are made of biodegradable plastic beads imported from the UK, making them 7-10 percent more expensive than regular bags. Traders have been put off by the higher price, while consumers are unwilling to buy the bags when they can get regular ones for free. According to the Ho Chi Minh City Department of Industry and Trade, the volume of plastic bags consumed in local markets reached 2,605 tonnes a year in 2010, and 2,912 tonnes in 2015. This figure is forecast to grow. Trade centers in Ho Chi Minh City consumed 280 tonnes of plastic bags a year in 2010, and about 615 tonnes a year in 2015. Looking at the numbers, Phuong’s efforts in pursuing the dream of a cleaner and green life must turn into reality. of these environmentally friendly products.